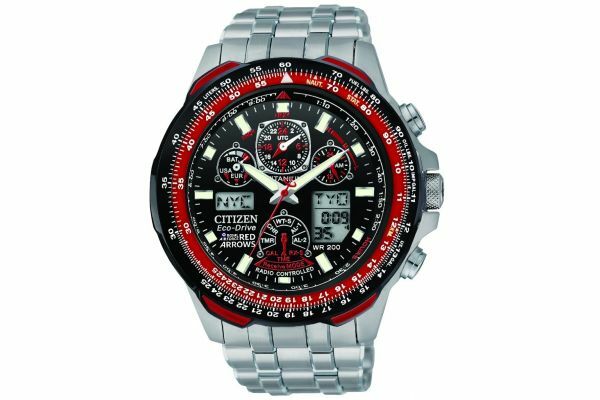 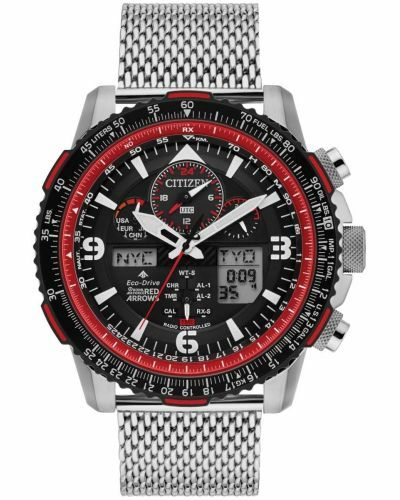 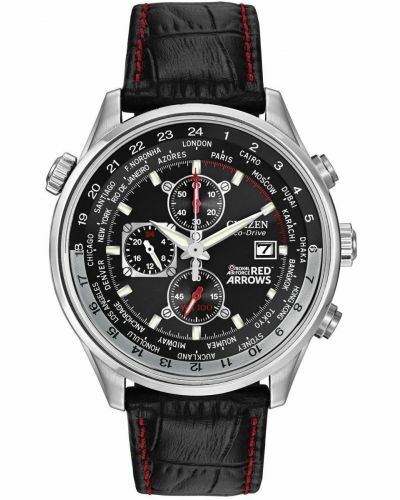 A Skyhawk Red Arrows edition which comes with multiple outstanding functions on its busy dial such as, Atomic Timekeeping with Radio-Controlled Accuracy, World Time in 43 cities, 2 Alarms, Chronograph, more 99 Minute Countdown Timer, Perpetual Calendar, a Non-Reflective Crystal Glass for a crystal clear look and a Power Reserve Indicator. 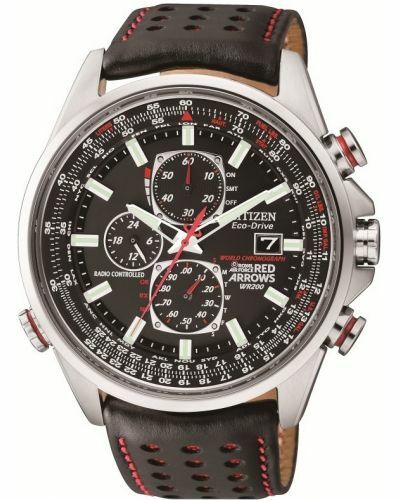 The lightweight, aircraft grade titanium case and bracelet adds a robust edge. 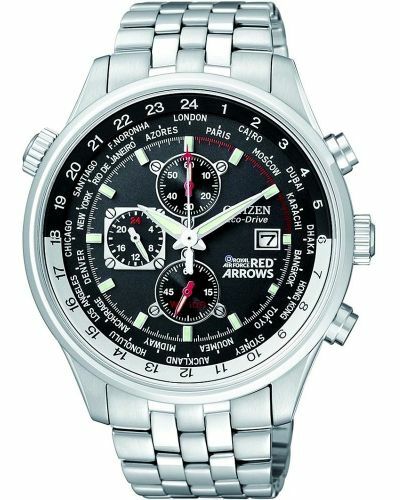 For us to size your new Citizen Red Arrows watch as accurately as possible, please take a look at our downloadable Watch Sizing Guide.